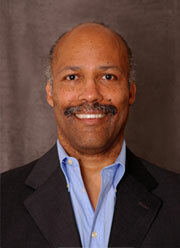 Jerome Jackson’s responsibilities include technical product and business development, and IP development. Jerome has over 30 years experience leading medical systems development for small and large sized companies. His projects require a ‘multi-physics’ approach, which integrates multiple scientific and technical disciplines, is based upon expertise in structural biocompatible materials, analysis of fluid flow and energy transfer systems, mechanical systems design, and the development of embedded microprocessor controlled electro-medical systems. For over 15 years Jerome has developed RF heating and ablation systems for cardiology, gastroenterology, urology, gynecology, and dermatology. He has developed numerous devices from minimally invasive disposable devices to permanent implants. Prior to joining Stellartech in 1998, Jerome headed up R & D for the Vascular Therapies Division of U.S. Surgical Corporation, and EP Technologies, Inc., now a division of Boston Scientific Corporation. He is a named inventor on over 34 U.S. patents. Jerome holds a MS in Mechanical Engineering from Stanford University and a BS in Engineering Science from Harvey Mudd College. In 2006, the College presented Jerome with the Outstanding Alumni Award and in 2008 he was recognized as one of the 100 Notable People in the Medical Device Industry by MDDI magazine.